'The Age' reports on the HIV Epidemiology Project which may be used to trace people who criminally transmit HIV. 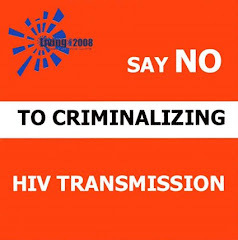 People who have recklessly or deliberately infected others with HIV could be genetically traced under a project approved by the Federal Government. Documents obtained by The Age reveal the project will investigate whether genotyping HIV infections — developing a genetic profile of the virus in patients — could identify groups of people or individuals responsible for transmitting the virus. The approach, believed to be a world first, was approved by Health Minister Tony Abbott earlier this month after several high-profile cases raised concern about how HIV positive people were being managed by health authorities. Three men, including Melbourne man Michael John Neal, are before Australian courts on charges of recklessly or deliberately infecting others with HIV. Under the plan, titled HIV Epidemiology Project, a team of scientists will be asked to examine the epidemiology of current HIV infection in Australia, including infections in high-risk groups such as homosexual men, injecting drug users and migrants and refugees gaining entry to the country. They will also look at the movement of HIV positive people across the nation and behaviour that could be contributing to rising infection rates. HIV infections have surged 41 per cent across Australia from 656 cases in 2000 to 930 in 2005. Associate Professor Andrew Grulich, head of the HIV Epidemiology and Prevention Program run by the National Centre in HIV Epidemiology and Clinical Research, welcomed news of the project but said any effort to map the transmission of HIV across the nation in recent years would be controversial and extremely difficult. "(Genotyping) may be of use for investigating particular individuals who are alleged to be behaving irresponsibly but at a population level there is more doubt about whether it would be useful," he said. Dr Grulich believed a national approach to genotyping HIV infections would be a world first. It is only used in criminal cases or to determine a virus' resistance to drugs, he said. Health Minister Tony Abbott said the project was not designed to target individuals for criminal prosecution, but to help public health education campaigns. "If AIDS is still very much a disease of gays and drug users, there is not much point running a campaign pitched to the general public," he said. Jamie Gardiner, a vice-president of Liberty Victoria, said any project designed to point the finger at particular people would undermine the public health approach to HIV that Australia had used since the 1980s. "It's hard to imagine that ethics approval would be granted for a project like this. This is a project whose purpose is not about the curing or prevention of illness but one that is being perverted for the pursuit of inappropriate criminal justice objectives," he said. Brett Hayhoe, president of People Living with HIV/AIDS Victoria, said "The last thing we need is for an already marginalised community to be marginalised and victimised more."